Fendi - This red jumpsuit exemplifies Fendi's precise approach to activewear. Made in Italy from stretch jersey, it's shaped for a slim fit through the frame with flatlocked seams and perforated panels for breathability. 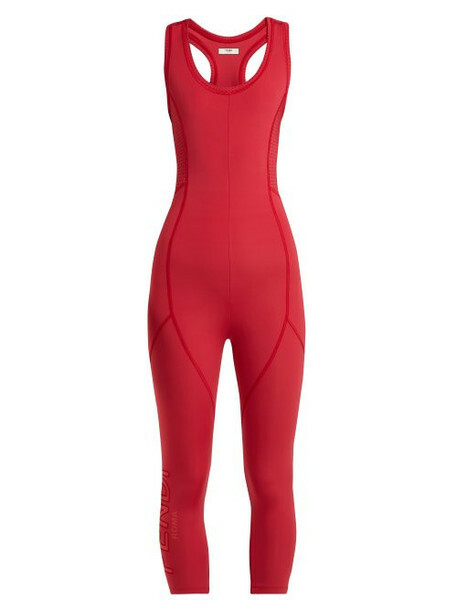 Wear it for intense workouts at the gym or as a base layer when skiing.